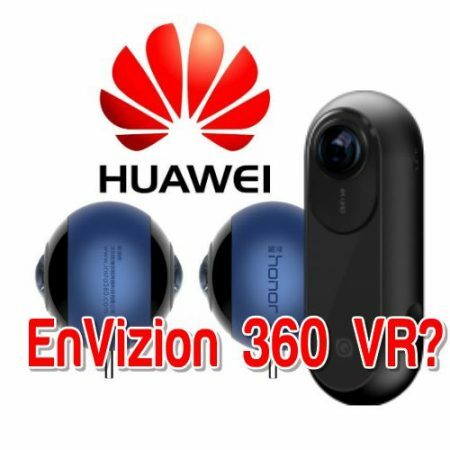 Huawei Envizion 360 camera: a modified Insta360 ONE? Huawei is releasing a new 360 camera called the EnVision 360. Will it be a modified version of the Insta360 ONE? Speculation: is the EnVizion 360 a modified Insta360 ONE? In the past, Huawei has partnered with Insta360 to create a smartphone 360 camera accessory, the Honor VR, which was based on the Insta360 Air. Will the EnVizion 360 be another 360 camera created in partnership with Insta360? If so, could it be based on the Insta360 ONE (reviewed here)? One issue is that the ONE has a lightning connector, and it will have an adapter for compatibility with Android. If the EnVizion 360 VR is a version of the ONE, it would make sense to have only a Micro USB or Type C adapter. If so, would it be compatible with Android smartphones from other companies? Another possibility is that the EnVizion is a completely different 360 camera, either of its own design, or based on another 360 camera by Insta360. The latter seems less likely because the Insta360 version would probably precede the Huawei version, and since Huawei has already filed a trademark for its EnVizion camera, then its release is probably only a few months away. What do you think? Is the EnVizion 360 a modified version of the ONE or a totally different 360 camera?